Anyway, these were great fun to knit! I love the yarn - Lion Brand Magic Stripes, I think. I really like how the socks are sort of alike, in that they are clearly a pair, but they really don't match at all. 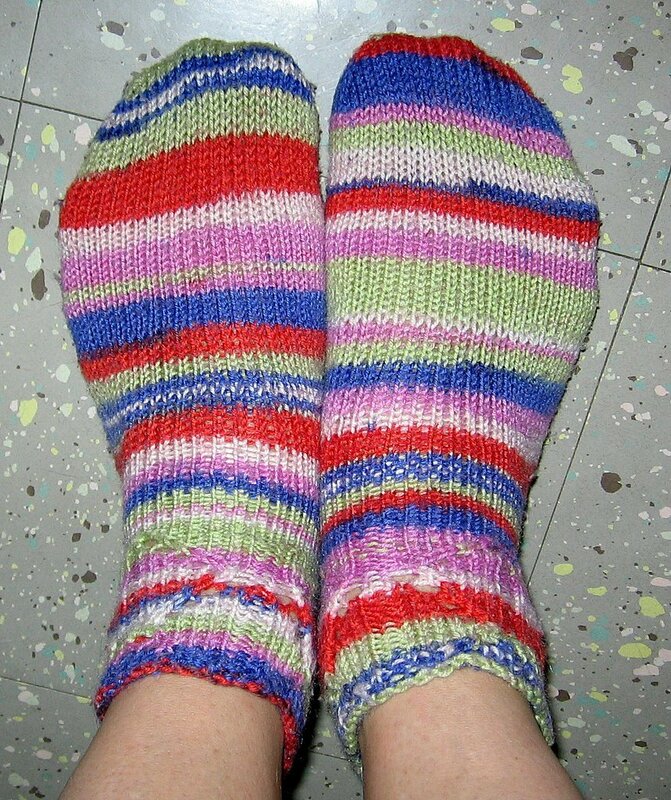 I've decided that this is the only way that I'm going to knit socks anymore. What's the point of knitting them to be exactly the same? You can go to any store in the land and buy two socks which are exactly the same! For my effort, they are going to be FUN! LOL. I knit these from the toe up (Is there any other way? LOL. ), with a peasant heel. I had experimented with different heels in the past - see my variegated merino superwash socks below - and I really like this heel. It's knitted in the exact way one would knit a hat, only really really small. One's heel is rather head shaped, isn't it? 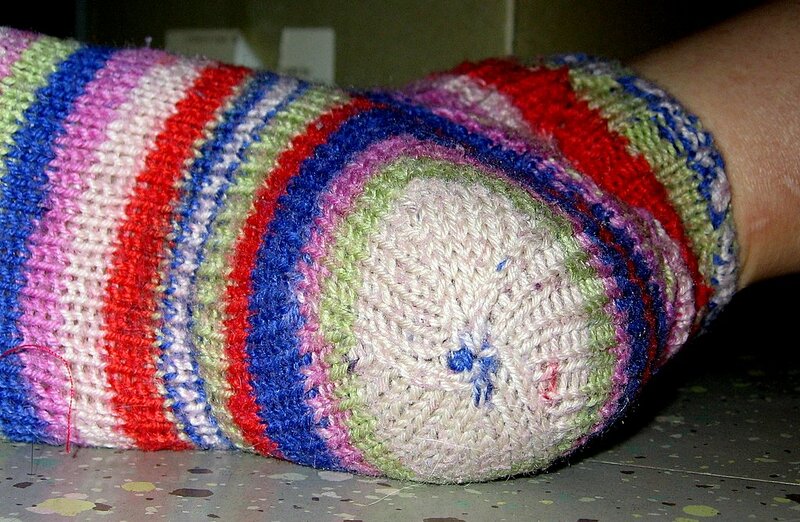 It fits the foot much better than any other heel that I've knitted. I love how the heel ended up with a tiny spot of blue, right in the middle. Serendipity! Here is a link to the yarn - Lion Brand Magic Stripe in Jelly Bean Stripe. Too cute! I've never seen that type of heel in a sock. I like the spin effect. Thank you, Mr. K'Nex Man.